The murky grey half-world somewhere between Mechanical, Aeronautical and Computer Engineering - Bankside Systems Ltd. They are the engines, (or Powerplants as our American friends like to call them), that hang from most of the world’s 747 and 767 aircraft, and sustain human life at altitudes where the environment is so harsh – we can barely comprehend. They really do live their life on the edge – with engineering tolerances that are microscopic, yet endure forces beyond anything we could ever synthetically recreate. They rotate at a staggering 19,000rpm for up to 14 hours at a stretch, producing up to 66,500psi of thrust, not only propelling up to 450 human bodies and all their accoutrements , plus 500 imperial tons of aircraft at Mach 0.92 (615mph), but also power all the necessities we need to survive in relative luxury at 40,000’. Each well-tuned RB211 burns about 50 to 55 gallons of fuel a minute on take-off – that’s about 3 imperial tons per hour and cruises at about 25 gallons a minute at 40000’. 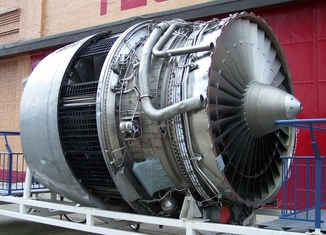 But the Rolls Royce RB211-524D4-19 high bypass, triple spool, gas turbine that was my life for 15 years, also has a very digital existence. Of course it's actually only a sum of its component parts. And every single component – every single microscopic hairline turbine-blade crack, through to its giant nacelle struts and bearing supports are digitally tracked, traced, sliced, mined, forecast, cubed, analyzed and hypothesized, to build up a set of theories, methodologies, architectures, and technologies that transform this physical monster into a digital map, that is each as unique as a human fingerprint. We used elements of the Gupta Technologies IDE toolset to assist in this Engine Life Management, by building MIS Decision Support systems, running Gupta TeamDeveloper, ReportBuilder and Oracle. Terabytes of Digital data, captured during flight and stored on mainframes, was extracted and summarized into useable, meaningful statistics. Visualizing this big data in a graphic format, and being able to drill down into the fine detail, converted this myriad of data into meaningful information, allowing Engineering Management to facilitate strategic and operational decisions.